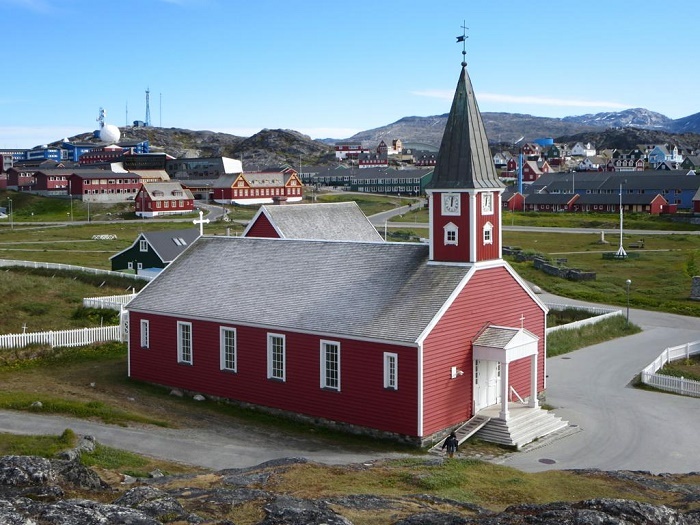 Nuuk Cathedral, also known as the Cathedral of Our Saviour, as well Annaassisitta Oqaluffia, is a wooden Lutheran cathedral that sits in the old city of Nuuk, the capital of the autonomous administrative nation within the Danish Realm, Greenland. 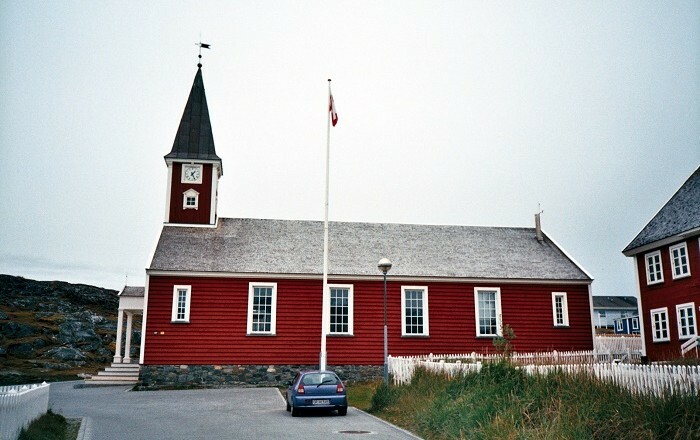 Being in the heart of Old Nuuk, the church was built entirely of wood, between 1848 and 1849 in a very distinctive brick-red color. 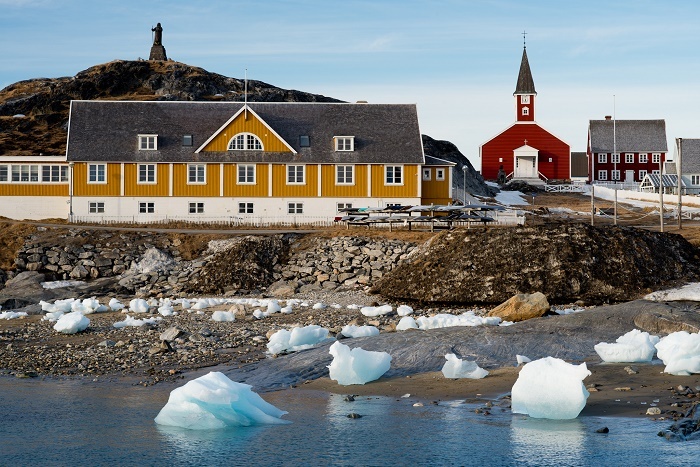 There is at the main entrance, an interesting towering spire with clock on it, added to the building in 1928, that somehow peeks out of the usual landscape that is distinct for Greenland. 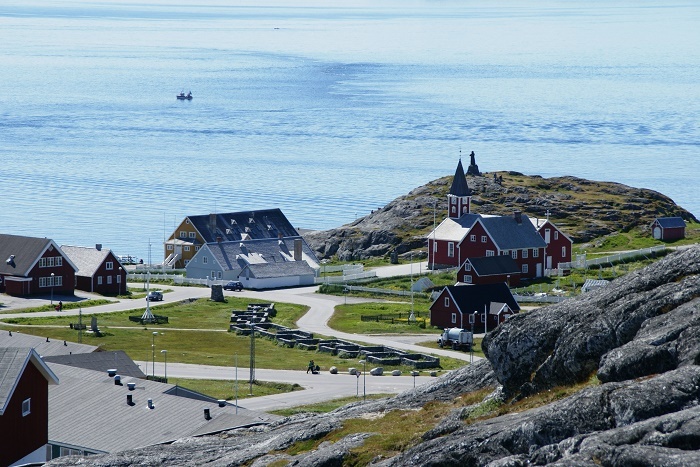 The beautifully painted red cathedral is an attractive point for exploration of Nuuk, and the best view of the building is from the hill atop which the Statue of Hans Egede is situated, giving an impressive look of the gorgeous city. 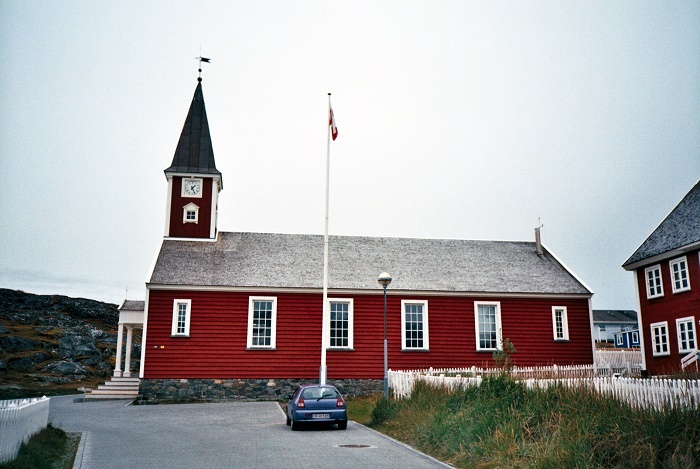 This magnificent piece of architecture at first was built with the so-called half timbering, which is a timber framing for soapstone and talc, however, the building later was externally paneled with red wood panels. 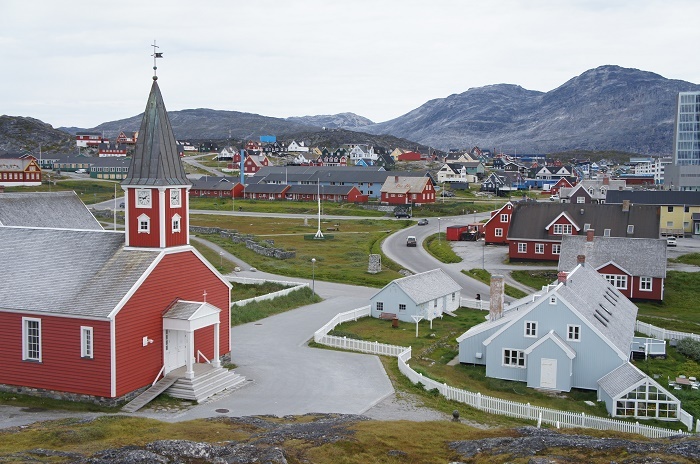 Also the interior was paneled, but the panels inside were colored in white giving it the extra Greenlandic feeling. There was a restoration project in 2008, which was done to the tower clock, and lasted for only 14 days, where the mechanical movement was replaced by a digital one. 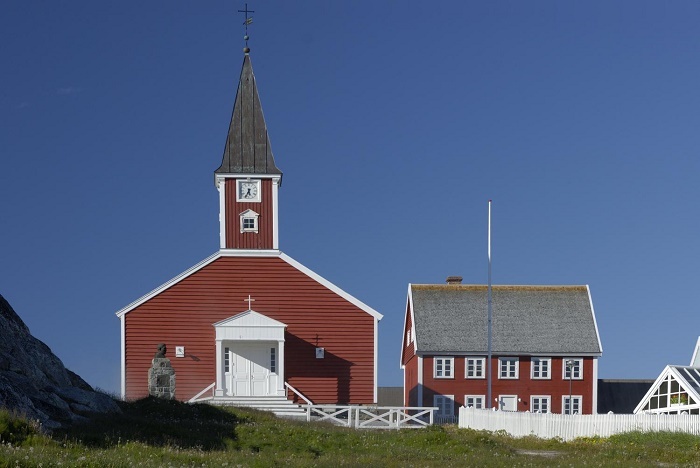 Being part of the Diocese of Greenland, in association with the Church of Denmark, the Nuuk Cathedral is going to continue to be one of the most recognizable and important landmarks of the big island nation, and in the future, definitely, shall be one of the most important monument the nation could has.